By William Mackay: Former light heavyweight champion Antonio Tarver (29-6, 20 KO’s) turns 43-years-old next month and he wants to fight IBF/WBA/WBO heavyweight champion Wladimir Klitschko as soon as Wladimir is freed up from his December 10th title defense against 39-year-old Jean Marc Mormeck in Germany. Tarver recently defeated Danny Green by a 9th round stoppage last July to capture the International Boxing Organization (IBO) cruiserweight title in an impressive performance by Tarver. However, beating the 6’1″, 38-year-old Green is a whole different matter than taking on the 6’6″ 250 pound Wladimir. This would be another mismatch for Wladimir if were to agree to the fight. 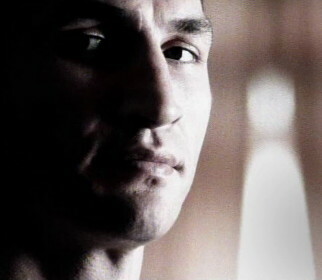 Unfortunately, Wladimir already said he’s interested in the Tarver fight and wants to make it happen next year in 2012. Tarver suffered back to back losses to Chad Dawson in 2008 and 2009. Tarver then moved up to heavyweight and defeated fringe contender Nagy Aguilera by a 10 round unanimous decision last year in October 2010. Tarver weighed a career high of 221 lbs for the fight and looked fat, although he was impressive in the fight. However, Tarver showed no power whatsoever in the win and that’s going to be a major problem for him against Wladimir. Tarver would be little more than a weak, flabby an old guy against Wladimir and it would be just as much of a mismatch, maybe more, than Wladimir’s fight against 5’10” Mormeck in December. At least Mormeck sort of has some power, but Tarver doesn’t at heavyweight.